Most of the weddings we have documented for wonderful humans have been through meetings in-person. Tara and Chris, on the other hand, was straight out of You've Got Mail movie. Tara had come across out published weddings in Borrowed & Blue, now Zola. Tara is South Florida gal who is an FSU alum and fiancé, Chris, is protecting our freedoms as an active Marine. They chose the beautiful Vista Lago Ballroom as their venue to hosts their friends and family on May 24th, 2015. This date also happens to be my wife's birthday, so it was a fun story telling her that she would be working on her birthday as our assistant lol. The day was a bright and sunny day kicking off Memorial Day weekend. Tara and her family where staying at the MACC Hilton Doubletree. 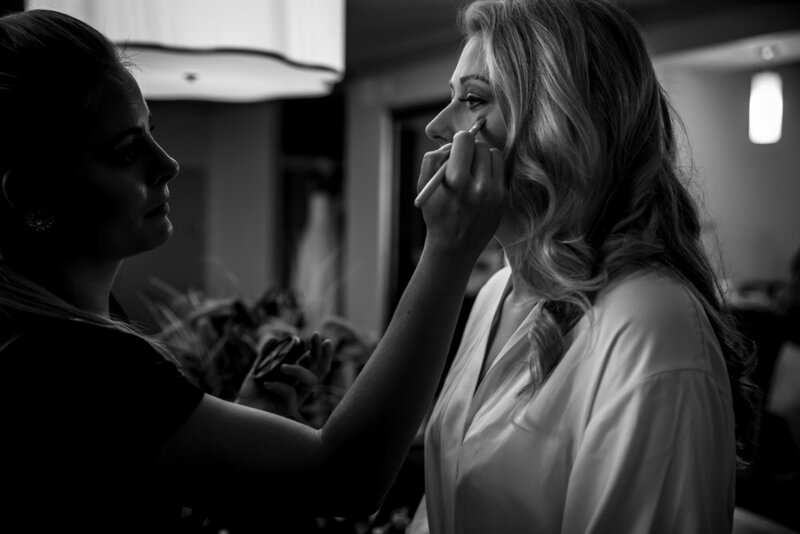 Her bridesmaids created a joyful atmosphere as the glamification process was done by Bombshell Makeovers. The men were treated by Chris to a unique experience at Razzle Dazzle Barbershop out in the Gables. The day continued to its continued elegance as Tara and Chris were married in a lake view. 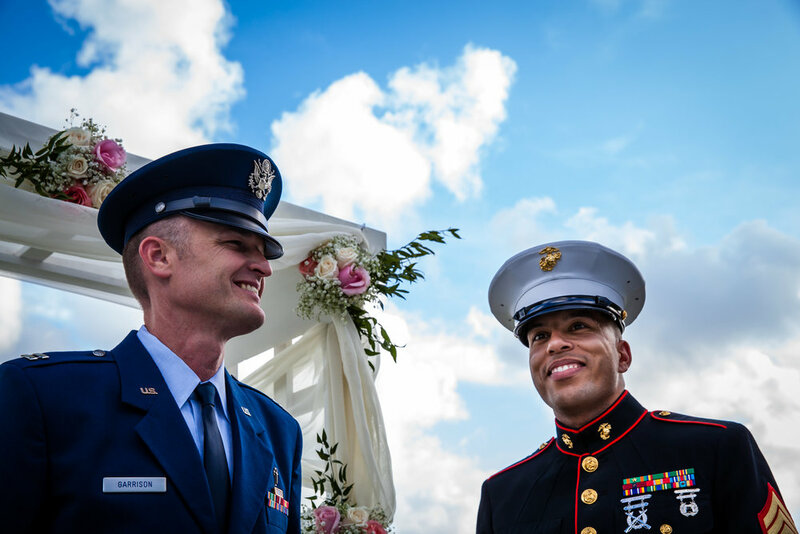 As they walked down the aisle, military tradition shined at its brightest. Chris' groomsmen and marine brothers made the arch or sabers. The arch is a symbolic act that ensures the newlywed couple safe passage into their new life together. A sight that we relished in capturing to preserve for Tara and Chris. Published in - Beach Bride, "Dreamy & Soldiery"